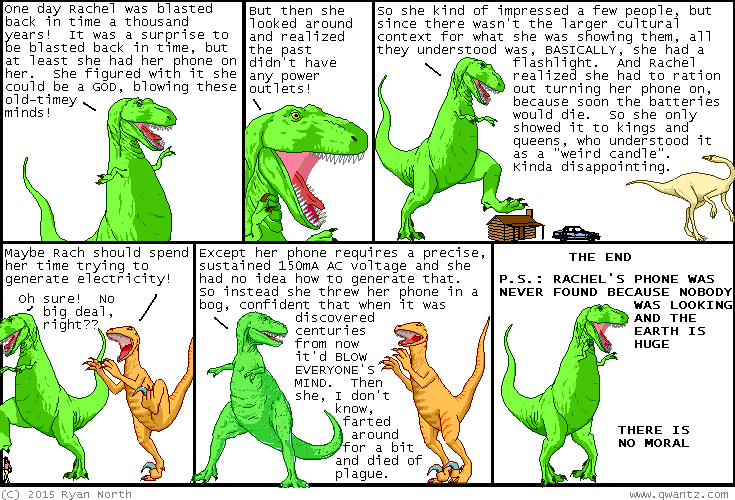 Dinosaur Comics - January 29th, 2015 - awesome fun times! –And it only costs fifty bucks! January 29th, 2015: CLASSIC RACHEL, AM I RIGHT?? If you don't know any Rachels, let me just say: this could well be classic them. One year ago today: if i died today this would be the comic everyone would see from now on and i didn't even write it. i definitely resolve NOT to die today! !